Chuck Rock II Son of Chuck Sega Genesis Tested And Working! Chuck Rock II Son of Chuck Sega Genesis Original Authentic Video Game! Sega Genesis Chuck Rock II Son of Chuck No Book Tested Working with Screenshots! 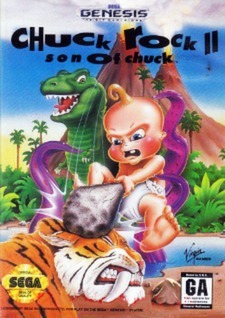 Chuck Rock II: Son of Chuck (Sega Genesis, 1993) Cartridge Only!